Our Featured Products are just a few of the items offered in the Dynamic Monitors Online Store. Click on one of the icons products below to learn more. 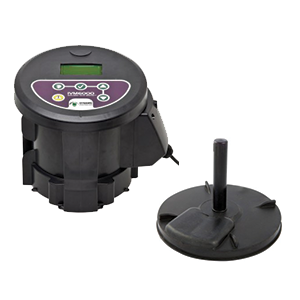 Internet-Connected Remote Monitoring System for Septic Tanks, Pump Tanks, Drainfields, and Cesspools. Convenient and Cost Effective Alternative to Other Types of In Situ Permeameters, with Available Kit. To develop useful, convenient and innovative products which allow decentralized wastewater treatment systems to be more effective, affordable and easier to maintain. La simplicité du perméamètre PASK le rend facile à utiliser et à transporter en plus d’être à bon prix. Il est actuellement le meilleur produit disponible sur le marché. 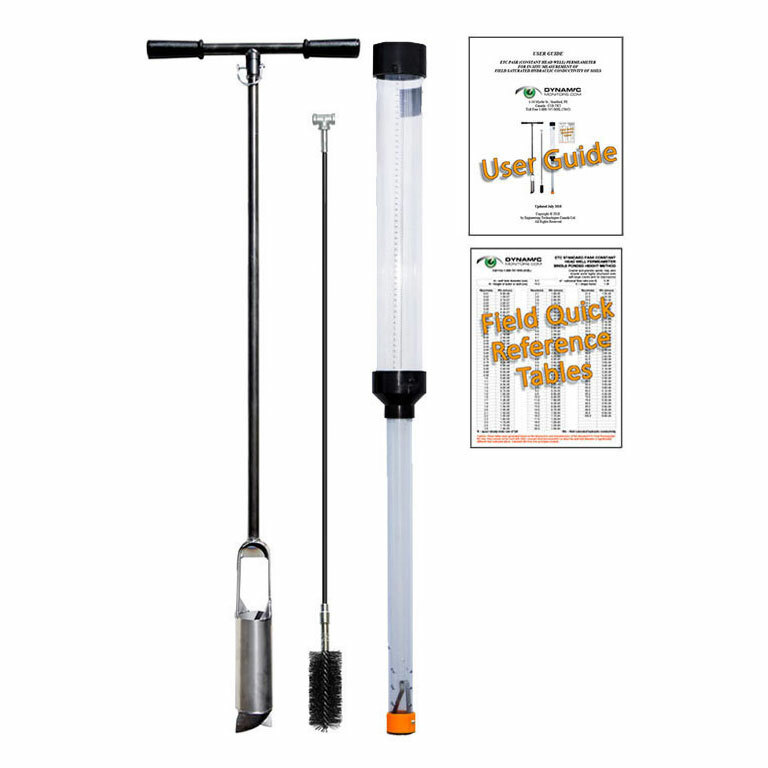 Translation: The simplicity of the PASK permeameter makes it easy to use and carry, in addition to being at the right price. It is currently the best product on the market. J'utilise le perméamètre de Pask depuis maintenant 6 mois et je suis très satisfait de la technologie et de l'équipement. En effet, les résultats sont reproductibles et l'équipement facile à manipuler et à utiliser. Le coût moindre de l'équipement m'a permis d'équiper tous les techniciens de leur propre perméamètre permettant ainsi une meilleure efficience dans la réalisation des essais de conductivité hydraulique. Vous pouvez définitivement recommander à vos futurs clients d'acheter cet appareil. Translation: I have been using the Pask Permeameter for 6 months now and I am very satisfied with the technology and equipment. Indeed, the results are reproducible and the equipment is easy to handle and use. The cost of the equipment allowed me to equip all of the technicians with their own permeameter enabling greater efficiency in carrying out hydraulic conductivity tests. You can definitely recommend to your future customers to buy this product. 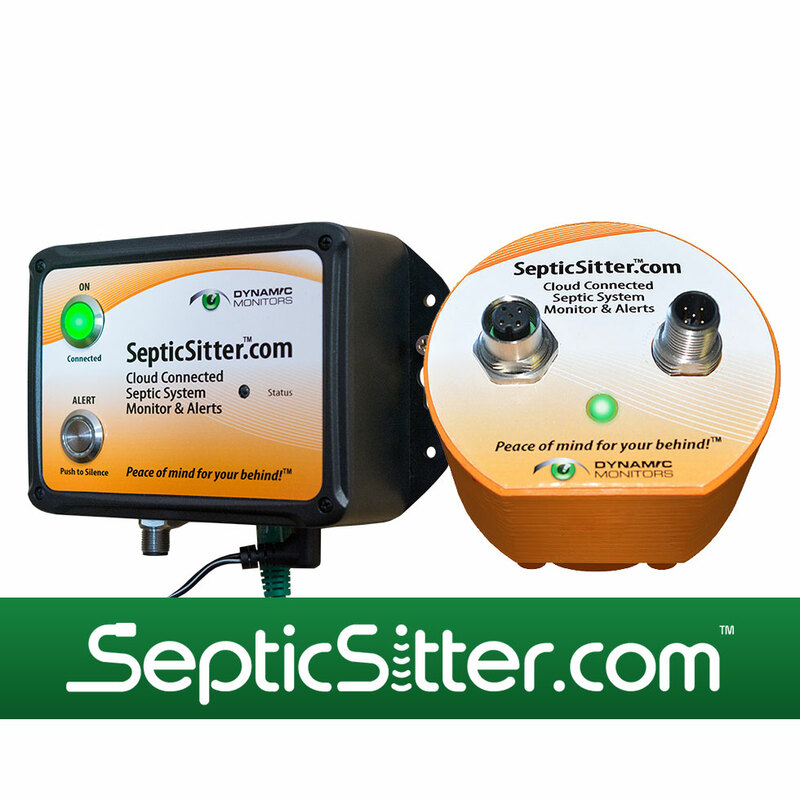 I did some web searches for a septic system monitor and I found two [other] classes of systems. The first was geared to monitoring tanks of chemicals and the like. The assumption being that I would spend time to develop custom software to read the $1000 sensor and chart the data. You’re solution stood out, data sent over the network and charted. Seems like the right thing to do, even the obvious thing. Why is nobody else doing this!? Thanks again for developing this. I am in need of exactly the thing you designed. I am strongly of the opinion that people need to know the condition of their system, especially the soil absorption system and understand when change in use habits is needed. For a long time, I have been a proponent of having inspection ports in every system. But, someone has to check them, knowing when to look and what to look for along with being willing to alter use patterns when necessary. That is asking a lot of the home owner, but if we can provide a sensor that is connected to the technology that we all spend our lives peering at these days, there is a good chance they will react especially if the device can be coupled with software that provides instructions and interpretation of what the monitor is sensing. I have always been a little hesitant using an automatic distributing valve, from a design standpoint anyway, simply due to the fact that once installed you don't really know if it is working properly until something major happens. The intelligent monitor is a product that can tell you how the valve is functioning and at its current price is cheap insurance, especially for larger systems (5000 gpd plus). One service call without the monitor could easily cost the value of the monitor. Thank you for your valuable and clever innovation that has allowed us to move forward using distributing valves in our large scale sewage system designs. I wanted to use these valves for years, but refused, due to the fact that there was no easy way to know if they were working, or, more importantly, if there was a malfunction. Up to this point, the risk of system damage or failure from undetected, uneven distribution was too great for our clients in my opinion. A “hope they are working” approach to design is something our firm cannot do. Many other consultants and regulators feel that way and I am not shy about educating people on the real risks. The IVM6000 made it possible for us to use these valves and know if there ever was a problem, before system overloading could occur. We are pleased that we can now use these valves since they are a clever device that simplifies the system design, complexity and cost. Our first installation using multiple valves and dedicated IVM6000 monitors for a new recreational community is complete, and more are following. A "no brainer" for our firm! We look forward to other problem solving innovations from your company. Keep us informed! Dennis Martin (M.Sc.(Eng. ), P.Eng.) | Associate, Senior Engineer and Hydrogeologist | Golder Associates Ltd.
Hydro-Terra Group was tasked with bringing the Lakeview Estates' wastewater system into compliance with Maryland Department of Environment (MDE) requirements. The upgrades included a new low-profile treatment plant, and an innovative drip-mound dispersal system. Hydro-Terra needed to ensure even distribution of effluent across the drip mound to satisfy regulatory and design requirements. We considered using solenoid valves to zone the drip mound, but there is no way to confirm the solenoids are opening and closing fully in response to the electric signal. In our opinion, the K-RAIN valve with IVM6000 monitor was the most reliable solution to this regulatory and design problem. The IVM confirms even distribution to all zones and will alarm at the panel if a valve malfunction were to occur. Hydro-Terra have been using your IVMs in our designs for years and love them. I am writing to tell you what a great product your IVM6000 is. Rockwood Estates purchased four of your IVMs in 2008 as part of an expansion to its wastewater treatment system. The IVMs are installed on the four indexing valves which distribute effluent to the treatment modules. They are hard wired back to the main control panel so that if the IVMs detect a problem, I will be notified immediately. The sewage system for Rockwood Estates processes a daily sewage flow of approximately 33,000 usgpd from approximately 200 homes (about 800 people) living in the park. The system utilizes a 5:1 recirculation ratio so the valves get hammered pretty hard. Each valve is estimated to get over 200,000 cycles per year. As a result, valve springs break occasionally causing the valve to stop distributing flow evenly. Prior to' installing your monitors, a broken spring might go unnoticed for several months. By the time the problem was detected, treatment quality would have suffered which caused regulatory problems for me, the system operator, and the owner. So far, the IVMs have provided early detection of two malfunctions. The first was a broken valve spring likely caused by the high cycles previously mentioned. The second was not related to a valve malfunction at all, although initially I thought it was. It turned out that an output relay in the main control panel had failed. This caused one of the pumps to stay on and send too much flow to one zone of the WWT system. The information provided by your monitor allowed me to pinpoint the problem before treatment was negatively impacted, and probably saved me several months of headaches trying to troubleshoot the problem. The monitors provide peace of mind that the valves are distributing effluent uniformly, and have significantly reduced the amount of time I spend making random spot checks. Your IVMs are one of the most useful, time saving devices I have seen in a very long time, maybe ever! If anyone wants to talk to me about my experiences with your IVMs, they are welcome to contact me. Read the original PDF here. Sign up for Tips, Free Resources, Articles, and Updates on our products!